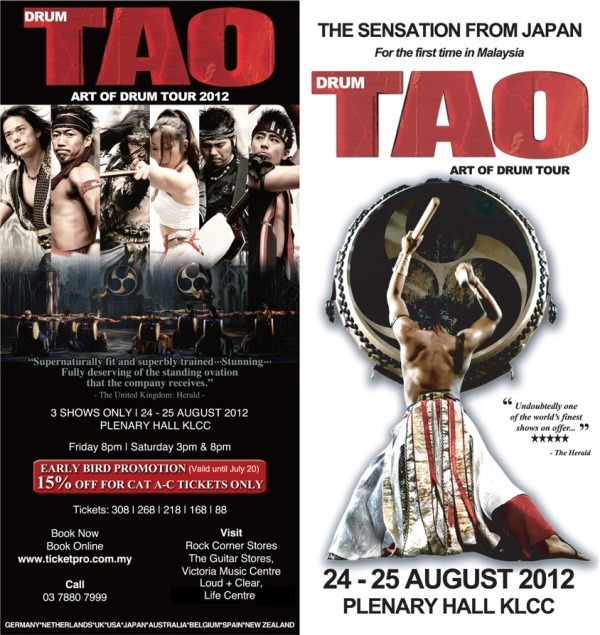 Drum Tao, the Japanese martial arts combined with drum playing extraordinaire will put on a show here in Malaysia for the very first time. To be more specific, the place to be on August 24 & 25, 2012 is at KLCC Convention Centre's Plenary Hall because that's where they will be performing. 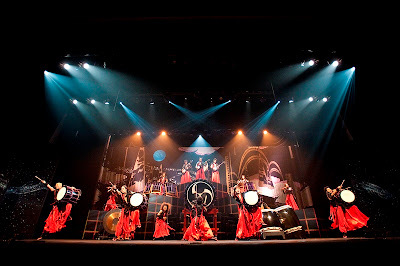 After their tour performing to more than 5 million people in 400 cities at 17 countries including Switzerland, Denmark, Israel, USA, Australia, it's time to hit KL's stage in Malaysia with their highly entertaining and eclectic mixture of dance and martial arts to the beats of their Wadaiko Drums. 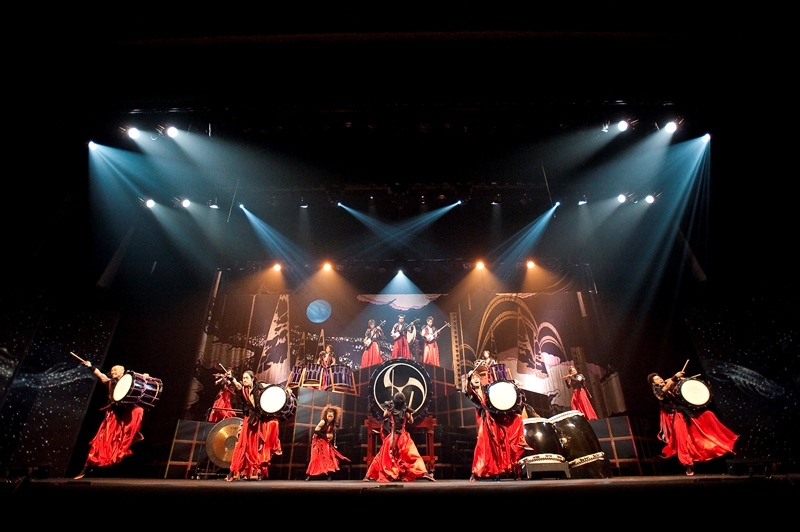 A little about Drum Tao, Drum Tao is established in 1993 where they use modern day new art form while maintaining a sense of nostalgic traditional drumming ways, sending their musical message to the hearts of audience with the intense and powerful drum beats. And if you purchase before July 20, 2012, you'll get the early bird discount of 15% off. Don't miss this mind blowing martial arts married with mesmerizing music choreographed to perfection with the innovative and flawless production values of contemporary Japanese excellence show.